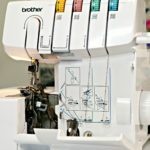 Adding the Brother 1034D Serger (http://amzn.to/1FNpsxo) to the sewing machine arsenal has been one of my most useful purchases. 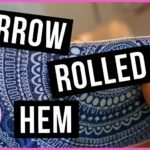 Showing how to do a basic three-thread flatlock stitch / hem – a technique in which the unbalance of the stitch is used to create the stitch you want. Adding the Brother 1034D Serger (http://amzn.to/1FNpsxo) to the sewing machine arsenal has been one of my most useful purchases. 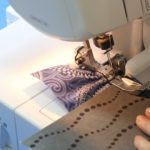 Showing how to use the gathering foot to create ruffles – either with one or multiple layers of fabric. Adding the Brother 1034D Serger (http://amzn.to/1FNpsxo) to the sewing machine arsenal has been one of my most useful purchases. 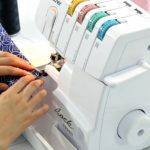 Sharing some of my favorite tips to avoid frustrating and the urge to chuck it out a window, plus some lessons I’ve learned through my experience over the past two years owning a serger.